It seems like a sign that I’ll be taking on this project at a time when the US is sparring with the UN over their recent report that levels of poverty are increasing here at home. The report – and our response to it – bring their own controversy. But what rings true in my mind is that our status as a “wealthy, developed nation” does not negate the fact that many of us are in need of assistance. Yes, I said “us”. We are in this together. And eleven of “us” will soon be giving our all to help families in Asheville achieve their dream of home ownership. This trip has been in the works for more than a year and is special to me for many reasons. 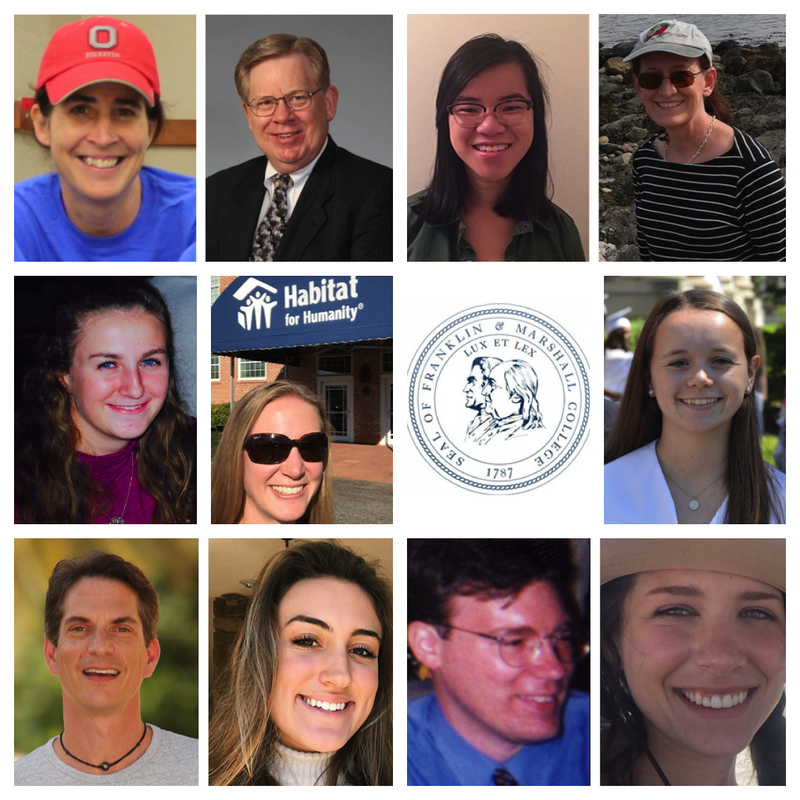 I’m excited to engage with the Ware Institute for Civic Engagement and the Office of Alumni Relations at Franklin & Marshall College to team up with Habitat for Humanity and offer this experience to students, alumni and staff for the first time! I am passionate about the work of this organization and have wanted to become more involved with my alma mater for quite some time. I’m thrilled that these things are all coming together! I’ve also never led a domestic volunteer team and am looking forward to a new experience – including challenging my own assumptions about what “need” looks like. The Asheville Area Habitat for Humanity (AAHFH) does amazing work around Buncombe County, NC. They’ve worked on more than 450 homes, serving over 1,300 individuals, since they were founded in 1983. That’s right – we’re talking about Asheville, North Carolina, United States of America. A hip, vibrant community set amidst the Blue Ridge Mountains which is home to the Biltmore Estate. A place where you might want to retire someday. AAHFH builds 20 houses per year here for families in need. And they can barely scratch the surface. There is a lack of affordable housing in the area due largely to the fact that many people who live here with their families are employed in jobs which depend on the highly seasonal tourist industry. The discrepancy between the wages of hospitality workers and the cost of living in the area is becoming insurmountable for many. Of the top 20 occupations in Buncombe County, 9 are insufficient to afford appropriate, fair market rental housing. In 2016, 23.3% of children in Buncombe County lived below the poverty line. Our team will be working with several families, since AAHFH usually has about 6 projects ongoing simultaneously. We have information on two of those families and when reading their stories, the reality of the situation becomes obvious. Shaketia is a teacher and has two children. When her lease was due for renewal, she was unable to afford the significant increase in rent and was forced to move in with her mother. She now shares a twin bed with her daughter while her son sleeps on the floor. 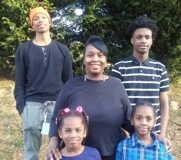 Mary has been driving a school bus for 10 years and has four children. Her landlord decided to sell affordable rental home they had been living in for 8 years and she was forced to find a new home for her family. Her only option was to lease a small 3 bedroom apartment for the 5 of them. Stories like those of Shaketia and Mary are far too common. Many of us may be fortunate enough to have not experienced this type of hardship, but we only need look to see those important qualities that we share. They are good people, hard working, striving to support their families and raise their children as best they can. When times got tough, they did what they had to and kept a positive outlook. Sounds familiar? Yes, to me too. Our work in Asheville will be a time of learning, sharing, hard work and, yes, love. The lives of these families will be changed forever and I’m lucky to be able to be a part of this experience. I’m excited for the journey. *If you would like to make a financial contribution toward the work of Habitat for Humanity and help families like those of Shaketia and Mary, please use this link. Every dollar counts! **This post contains statements and images provided by AAHFH. Their collaboration and support is appreciated. Join this team to partner with Habitat for Humanity Brazil and help bring strength, stability and independence to a family in need of a decent place to live. Our team will work beside local masons and neighbors to provide safe, affordable housing for families in Brazil. We’ll be working on a project called “The Future Begins at Home“, which has a goal of guaranteeing that children and youths in socially vulnerable situations have a more adequate home to live in so as to lower the occurrence of disease, improve their performance in school and favor their full development as citizens who can enjoy a future with more opportunities. We’ll be working in the state of Bahia in a community called Vila Esperança (Village of Hope). This community could not have a more appropriate name. There are around 200 families living in Vila Esperança and every single house is in precarious conditions. Many families don’t have bathrooms in their homes. Most houses have dirt floors, deteriorated walls and few windows. The community is not paved and there is a train track that goes straight through the community with no gates to prevent children from running onto the tracks. Families in Vila Esperança earn an average of R$720 reais per month (approx. US$180) and are primarily headed by single women. But even with all of the struggles that these people go through, they still have so much strength, perseverance, joy and expectations for the future. As you build with the family, you’ll be welcomed into the community, eat traditional food and meet the neighbors whose community you’re helping to improve. Your work will have a lasting impact as Habitat will continue to support the families through workshops and trainings after your team returns home. Saturday: Depart. Grab your packed bags and head for Brazil! Sunday: Arrive. Join us in Brazil where you’ll be greeted at the airport by Habitat staff. After meeting the other volunteers on your team, you’ll spend the afternoon together. Over dinner, Habitat Brazil staff will share about their innovative work in the region and as well as more information on the week’s project. Monday-Thursday: Build. Your team will build with local, skilled construction workers. After work, the team will have time for excursions, rest and to reflect on the day’s experiences with the rest of the team at dinner. On Wednesday you’ll visit a local school and learn more about the community. Friday: Celebrate. Enjoy your final day of building with partner families before the dedication ceremony. Saturday: Explore. Spend the final day exploring the beauty of Brazil with a visit to local sites. Close out the trip by reflecting on the week’s experiences over dinner with your team. Sunday: Goodbyes. Depart for home or continue your journey in Brazil independently. This team is now fully recruited! We are excited to partner with Habitat for Humanity Brazil and help bring strength, stability and independence to a family in need of a decent place to live. We will work beside local masons and neighbors to provide safe, affordable housing for families in Brazil. We’ll be working on a project called “The Future Begins at Home“, which has a goal of guaranteeing that children and youths in socially vulnerable situations have a more adequate home to live in so as to lower the occurrence of disease, improve their performance in school and favor their full development as citizens who can enjoy a future with more opportunities. We’ll be working in the state of Bahia in a community called Vila Esperança (Village of Hope). This community could not have a more appropriate name. There are around 200 families living in Vila Esperança and every single house is in precarious conditions. Many families don’t have bathrooms in their homes. Most houses have dirt floors, deteriorated walls and few windows. The community is not paved and there is a train track that goes straight through the community with no gates to prevent children from running onto the tracks. Families in Vila Esperança earn an average of R$720 reais per month (approx. US$180) and are primarily headed by single women. But even with all of the struggles that these people go through, they still have so much strength, perseverance, joy and expectations for the future. As we build with the family, we’ll be welcomed into the community, eat traditional food and meet the neighbors whose community you’re helping to improve. Our work will have a lasting impact as Habitat will continue to support the families through workshops and trainings after the team returns home.